These are good guys. I'm not claiming I know them personally especially since I never even bothered to look up their individual names. But I've listened to their music, and I can tell you beyond a shadow of a doubt that they're good guys. This is some of the sweetest and happiest music that I've ever listened to in this disgusting world of ours. 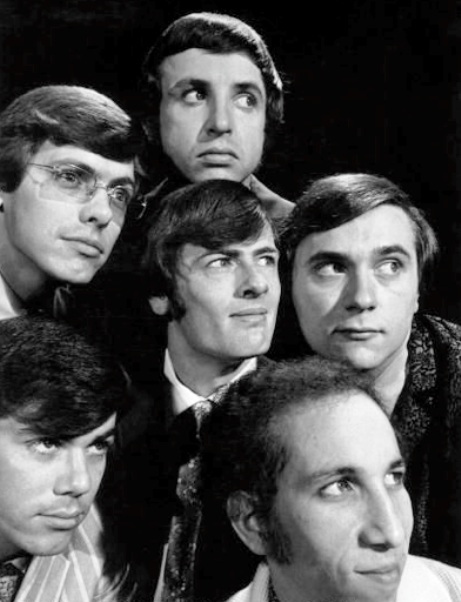 Unfortunately, they also seemed to have trouble writing infectious melodies, but their inventiveness in other areas (namely, instrumentation) makes this a rather interesting product of the '60s sunshine-pop era. You've got to at least love their vocals. Some might accuse them of being the poor man's version of The Beach Boys, but that's just being cynical, and that's not the proper frame of mind you should be in before listening to sunshine pop music. This is music meant for happy people. They might have not been The Beach Boys, but their breezy vocals and tight harmonies are their principal attraction. Also, they had their fair share of memorable hits, most notably "Cherish." You can immediately tell whether or not you'll like this album by listening to the opening number, "Enter the Young." It might not have a strong enough melody to have resonated through the ages, but I'll tell you I love my life when I'm listening to it. It starts out sweetly and likable, but as you continue to listen to it, you begin to notice that it gradually builds up passion and energy until it reaches a tiny explosion at the end. I would tell you it orgasms, but let's not be crude. While their passion and instrumental inventiveness saves some of these songs, it unfortunately doesn't happen consistently through the album. Look at what happens in that snooze-fest called "Remember," which unfortunately doesn't quite live up to its title. Rather, the song on this album that people remember is the one called "Cherish," and it's one of those golden oldies that actually seems like it's made out of gold. The atmosphere makes me feel nostalgic for the '60s, which is amazing since I was born in the '80s. Another one of their wildly popular songs is "Along Came Mary," which is my personal favorite of the album. That light groove they came up with is utterly fantastic, and it's about as purely fun as the '60s gets, which is pretty fun. 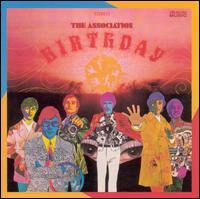 I have a soft-spot for '60s sunshine pop music, and The Association was surely one of the sweetest groups around. But like most bands of the day, they had flaws; this is a rather inconsistent album that's mostly centered around its hits and the supporting material didn't seem nearly as meticulously produced. (For example, the closing song "Changes," is rather painful to listen to.) Nonetheless, it's impossible to say terrible things about musicians who write pleasant, earnest pop songs and who show a certain dedication to their craft. Some of this material might not be up to par, but so what? Nothing is perfect. Except for The Beatles. That's not such a fitting album title since this sounds so much like the debut album. Naturally, if you're deeply into this brand of '60s sunshine pop music, then you'll probably want to give this album a listen, but for the rest of the world, there's nothing here in The Association's sophomore album that you need to listen to. You'll gain that impression when you read the track listing and notice that there are absolutely no recognizable song titles. And if you bother listening to the album, I doubt you'll find anything that sounds like it should have been a hit. Nonetheless, The Association still show themselves to be quite an excellent vocal-pop group with a knack for creating appealing songs with tight vocal harmonies, but their melodies are watery and forgettable. As a matter of fact, I wouldn't even say that "Cherish" from their debut album had such a great melody, but was so well-produced and angelic that listening to it was like basking in the warm glow of the summer sun. Unfortunately, Renaissance has nothing on it that even remotely recreates that feeling. The closest thing they have "Angeline," which is a rather overblown psychedelic love song that predominantly features the harpsichord. (I suppose what good is a psychedelic love song if it isn't overblown and features a harpsichord?) I'm not sure if they were being silly on purpose or they were actually earnestly meant the lyrics ("God made her to be freeeeee!!! "), which were sung with a hilariously overblown operatic baritone. I find it rather fun, but the melody is entirely forgettable. "Pandora's Golden Heebie Jeebies" is the closest thing they had to a hit on here (peaking at #35 as opposed to "Cherish's" #1), and it has a surprisingly dark and driving atmosphere. But I don't find it too shameful that the teenagers didn't go out in droves to buy it; the melody is fairly standard and it starts to get boring after its first 30 seconds. Unfortunately, many of the other tracks just turned out to be little more than tiny messes and they suggest that this album was produced hastily. "Come to Me" sounds like their melody/harmony departments weren't quite communicating with their rhythm section. "You May Think" was poorly planned and plagued with clunky development. "Come to Me" had the makings to be a good Beatles clone, but it's missing spirit. I like the recorder they brought out for the pastoral ballad "No Fair At All," but I find the experience more dull and plodding than immersible. The Association's debut album certainly wasn't overloaded with great ideas, but at least it had a few brilliant moments. Renaissance has nothing more than a few likable spots. Unfortunately, that reduces this album's appeal only for people with weird sunshine-pop asphyxiations who won't rest until they have everything. 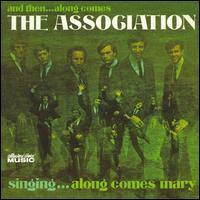 Of all the rock bands in the '60s, I always considered The Association likable but their melodic prowess was weak. Their first two albums had their moments, but the majority of the songs were weak and forgettable. Insight Out continues to be no exception to that, but their good ideas seem to be coming more and more frequent. Hurrah! It's no surprise that their idea to bring old-time jazz music to rock in "Wasn't It a Bit Like Now" is one of the finest songs of the album. It's not the first time a rock band tried this idea (look previously to The Kinks), but The Association certainly delivers a good product that's fit for the year of Sgt. Pepper's Lonely Hearts Club Band. Another strange song is the closing track "Requiem for the Masses," which is an interesting cross between hippie folk music and a Medieval choral work. The melody certainly could have been catchier, but the idea was enough to engage me. Probably the best song of the album is a more straight-forward ballad called "Never My Love." It was a hit and deservedly so --- these guys are rarely able to pull off melodies as good as that. 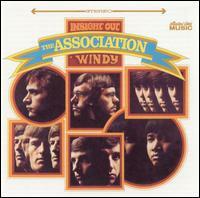 The biggest hit of the album, however, is "Windy." But I honestly don't know what's supposed to be so great about that one. It's average --- even within the context of this album. As usual, The Association seems to take great care in their songs, and they earn brownie points for that. That quality certainly picked up from their relatively disappointing previous work Renaissance, which seemed like a toss-off. These guys were a decent '60s band, but the reason why they're largely forgotten today is that their melodies are bland. For that reason, these guys are less recommendable than many of their fellow overlooked popsters. The Monkees and The Turtles are good examples. Wow. Previously to Birthday, they released a formidable album, but I never expected them to actually get better than that. Their melodic talents weren't much to speak of ever in their career since that point. Sure, they run across a few memorable hits here and there, but nothing that would last throughout an entire album. But I spoke too soon. Birthday is the group's greatest album. Something happened to spark a major change in this group. Whatever it was, I like it. These guys were always likable, but they finally got to a point where they're in full bloom. It's beautiful and, as I made an example, unexpected. They're still miles away from writing great melodies like the Beatles, but they are definitely leaps and bounds better and more consistent than anything album they released beforehand. The melodies aren't even the reason Birthday is so great. It's the moods. Yes, The Association is undeniably another one of those freaking sunshine pop bands, but they're quite convincing at it. This whole album is essentially one continuously pleasant moment that does not let up. They really perfected their glorious mood here --- especially how they work in those Beach-Boys-esque vocal harmonies. They sound better here than they even did on their hit single "Cherish" and much more purposeful. They tap into a heavenly vibe that's so convincing that it doesn't even make this work sound cheesy or cheap in any way. As I always recognized from these guys, they seem to be interested in making music for the art of it and not just the money. Here is their best work --- where most of their musical ideas seemed like good ones. Even when the songs that aren't so special, melodically, I want to love them. They're just so happy and likable. The funny thing is none of these songs sound famous to me. This seems like a pretty overlooked album. '60s pop fans ought to take note! I haven't seen the film Goodbye, Columbus, so I am unaware of the ambient tracks' practical effectiveness. The general problem with soundtrack albums is that simply listening to the tracks isn't what it was designed to do. You're supposed to be watching a movie at the same time! There are a few great soundtracks out there with more artistic merit and detail than you'd be able to pick up while watching the movie --- Philip Glass soundtracks are excellent examples!! Well, I'm grateful that this soundtrack is in-print only because it certainly wouldn't have done any good out-of-print! At that same time, I really wonder who this soundtrack is for. Goodbye, Columbus isn't a movie with much name recognition. I only heard of it, because this soundtrack is included in The Association's discography. So, there won't be too many people who want this soundtrack because of the name recognition. Since it only contains three Association songs (and another in instrumental form), casual Association fans are probably best advised to pass this by. Nope, Goodbye Columbus is only for die-hard Association fans, and I wonder how many of those are in the world? 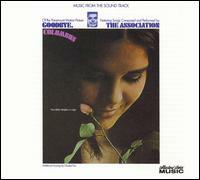 Anyway, the only great Association song on here is the title track "Goodbye Columbus." It's such a soaring composition and brimming to the edge with optimism. It's one that'll put a smile on your face and probably leave it there for a couple minutes afterward. That's one song --- buy it for $.99 on iTunes, and you pretty much have everything that's necessary! I had to listen to this whole thing, because I'm insane. But I'm happy to report that this listening experience was A-OK. The other two Association tracks, "So Kind to Me" and "It's Gotta Be Real" are entirely decent tracks ... they are sort of pleasant things to hear if you misplaced your Beatles albums. And, Charles Fox seems like a good soundtrack composer. His instrumental music is mostly in the rock 'n' roll format, but you get the impression that he's done that more to match the times and not really being what's in his soul. Some of his drum arrangements sound like this was the first time ever tried writing for pop-rock. I like most of his chord progressions, but they also have a non-rock flavor --- It's cinematic music done with some rock stylings. Nothing else. The Association's songwriting surely took a hit by this time. After Birthday was apparently the best that the band could be, they decide to follow that up with this solid though thoroughly unremarkable album. Unfortunately for them, they guys weren't selling albums like they used to (notably, this album is without a hit single). Yeah, as far as memorable hit melodies, the band comes up desperately short. It's not that this was a surprising lapse. Their songwriting is often below standard, usually at standard and only rarely above standard. Even �Cherish� is kinda more memorable for its atmosphere than its melody. �Along Comes Mary� might be upbeat and thoroughly enjoyable, but the vocal melody consists of few notes. But if you just know this band for their hits, know this: They still aren�t prone to writing tons of uninspired filler material. I never got the impression that their only aim in the business was to gain commercial prominence; Yes, this band is as respectable as ever!! One thing I shall never deny this album (or this group throughout its history) is its solidness. This makes a really good listen. A lot of effort was put into this, it's remarkably diverse and it�s fit for, perhaps, a day�s drive in the country. It�s pretty much impossible to hate this album. 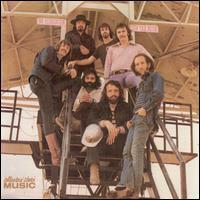 However, the most important quality of this group (and this album) is that it doesn�t sound particularly dated. A writer on the All Music Guide postulated that another one of this group�s album�s is better appreciated by today�s audiences, because we won�t bother comparing it to other landmark albums such as Rubber Soul and Pet Sounds, which were still fresh in everyone's mind. That's certainly a valid point although don't think that this album is anywhere near the quality of those monster-classics!! This group started out in 1966 as an obviously Beatles-inspired band, but by 1969, it's difficult to tell where they wanted to go. It seems like country rock at first. The first instrument you hear on the album is the banjo on �Look at Me, Look at You� and then a melody and atmosphere that sounds like it wants to be a war protest song. �Love Affair� is a psychedelic song, and it�s pretty nice. �The Nest� mimics the Beach Boys and �Dubuque Blues� has a very generic folk melody. Two kind of embarrassing discourses in the album is a gospel number �Are You Ready� (but it�s too spirited to really dislike) and a Hendrix-like �I Am Up for Europe.� You can probably assume that the reason this band never achieved much notoriety is that they had a hard time developing a genuine face of their own. They mostly just imitated their already-popular contemporaries. 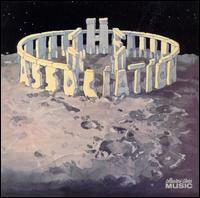 But it�s a solid, likable album and a respectable overall effort. 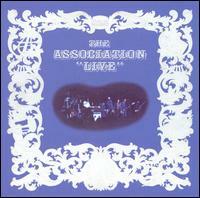 Who's ready for a live album from the greatest pop band of the '60s, The Association?!!! ........... (OK, try to find a soundbyte of a cricket chirping to play, and you can get the appropriate mood going.) Not only are there not enough Association fans in the world with any desire hear a live album, they go and make this a double live album (all compressed to a single compact disc). That's right, folks. This is 80 minutes worth of The Association Live! Let me ask you something: ARE YOU AS EXCITED AS I AM????? That sarcasm comes from sitting through this monstrosity three times all the way through. Now let me go onto answer the question that's undoubtedly formulating in your brain: What's so dang awful about it? You might be thinking that I'm just harping over the fact that these live version are nowhere near as good as the superior quality of the studio cuts. Well, that's much of it! With a band like The Association who aren't exactly known for their instrumental virtuosity, you'd expect there to be nothing special about the live versions that you couldn't pick up from the studio. The real damning factor of this album is TALKING they do in between the performances. In fact, this is attribute of this album is so dang awful that I'm going to devote the entire next paragraph to discuss it. These guys have NO sense of humor. They think they're funny, and so they come off as horribly obnoxious. Now, I've previously stated that I like hearing the band talk to their audiences in live albums. I still hold that to be true. More than anything else, it's interesting to hear how a musician's talking voice sounds like, but I also like to get a better taste of their personality. BUT if these guys are going to make bad jokes, then I don't want to hear 'em. Shut up and sing, hippies! That's not the only reason that Live is such a big failure. They make some pretty horrible track decisions. Who honestly wanted to hear them play bland songs like "I'll Be Your Man," "Goodbye Forever," "Blistered" and "Remember?" I couldn't even recall these songs until I pulled up the studio albums and remembered why I didn't like those songs much in the first place. At the same time, these guys don't exactly have a rich and extensive back catalogue to choose from! This was a compelling reason to just make this a single album --- if you really had to release a live album at all. These poor old guys weren't exactly willing to do much to regain their commercial composure, but I suppose they were ready to be on their merry ways. 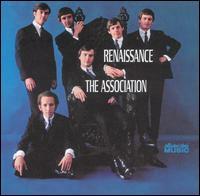 The Association certainly haven't changed their styles at all. In 1971 most bands moved onto roots-rock or, alternately, Carpenters-esque AM radio pop. I could imagine an alternate reality in which this band might have taken either routes, but they just sort of seemed content with doing the same old thing. That doesn't necessarily bother me, but it's pretty much why this album was a total commercial flop. It would turn out that this would be their last contribution for the Warner Brothers record label, and they would just release one more album after this, Waterbeds in Trinidad! with Columbia Records. I don't want to say that I think this album is dated for 1971 audiences, because I don't get the general impression that it's dated whatsoever. The problem with it is the same as many of their previous albums: They were never one to be able to boast about their songwriting skills. I'd say this is of the same middle-of-the-road caliber of their eponymous album of 1969. Stylistically, they are quite similar, except this one's a tad less charming. They have the nice tendency to try a number of different styles here although it's not too adventurous. "That's Racin'" is a sort of Dylan-esque song with some old-time country stylings, "Traveler's Guide (Spanish Flyer)" is a vague attempt at Latin, "Along the Way" has an operatic feel ....... Though the diversity is noted, every song still has that underlying Associations aura. This isn't exacly a White Album. There are a few minor gems I'd like to point out and then I'll end the review section. The best song is the thunderous opener "Bring Yourself Home." Stylistically, it's the same thing as "Goodbye Columbus" and it's nearly as well done. Their established packed vocal harmonies sound as glorious as ever! Also, "The First Sound" and "Along the Way" both work as convincing pieces of drama. Sure, it's not always effective for bands to pen ultra-serious songs, but these guys tend to know how to inject the proper moods in them. Overall, this is mildly entertaining. I wouldn't buy it or anything, but it's a legitimately solid and sometimes enjoyable work.